What I really love about this soup is that it is two soups in one. 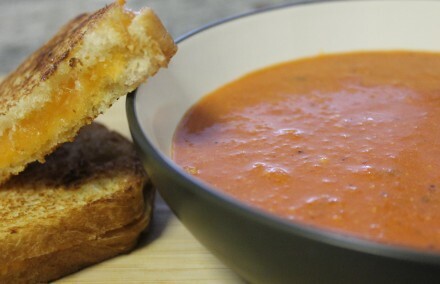 Eat it cold as gazpacho, garnished with some grilled corn, or heat it up on a stormy summer night for some creamy tomato soup with grilled cheese. Both are equally delicious (and nutritious!). *if you like spice add some hot paprika to the mix! 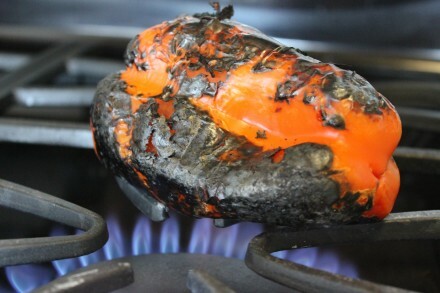 Heat the oven to 400˚F. 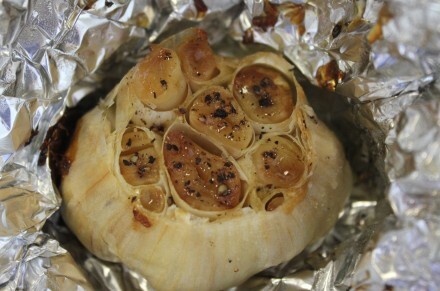 Cut off the top part of the head of garlic, place in foil, drizzle with olive oil, and season with salt and pepper. 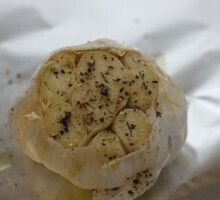 Wrap the foil around the garlic and roast about 40 minutes, until soft. 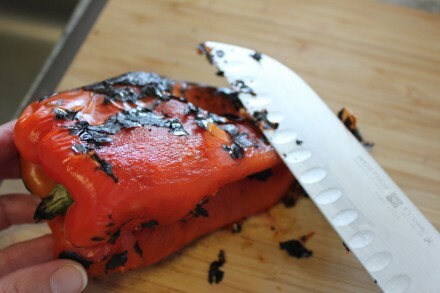 Char the red peppers over a burner (or under the broiler), place in a bowl and cover with plastic wrap. 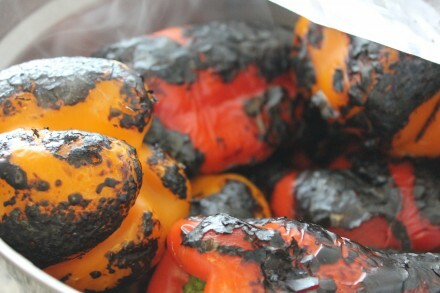 Let the peppers sit for 15-20 minutes, allowing the steam to loosen the charred skin, then scrape with a knife or rub with a paper towel. This is extremely messy so just embrace it! 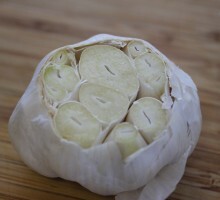 Once you have removed most of the skin, cut in half and remove the stem and seeds. In a large pot, sauté the onion until translucent, then add the paprika. 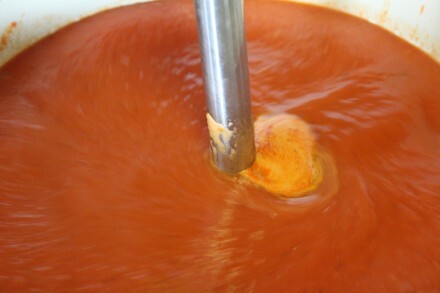 If using an emersion blender: add the peppers, tomatoes, garlic, and water/stock, to the pot and blend until smooth. Bring to a boil and let simmer 15-20 minutes. Turn off the heat and mix in the yogurt. Taste for seasoning. 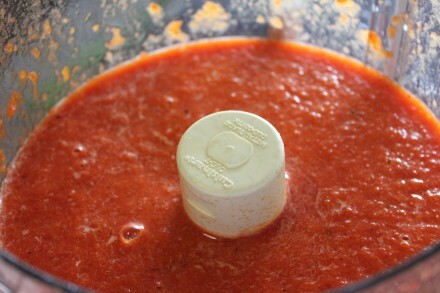 If using a food processor: put the onions into the food processor and, working in batches, puree with the tomatoes, peppers, garlic and water. Bring to a boil and let simmer 15-20 minutes. Turn off the heat and mix in the yogurt. Taste for seasoning. 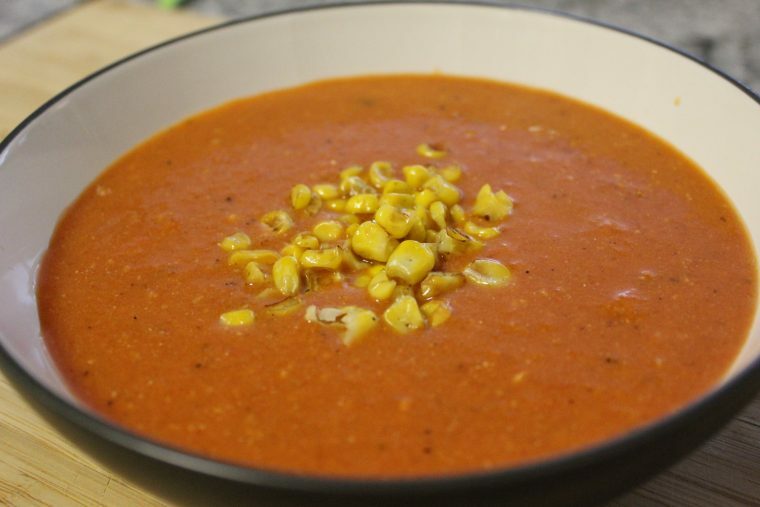 I even know of some people who like to mix this light, nutritious soup with leftover chili…..won't mention names but it has been done. and a certain person says its delicious..